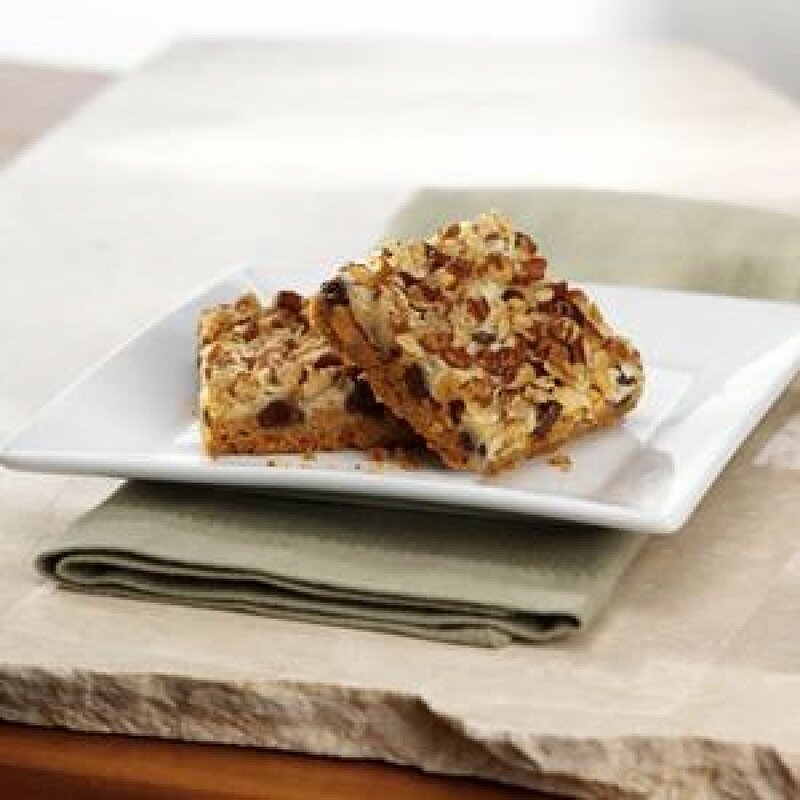 This seven-layer cookie bar recipe from Eagle Brand via BlogsRelease immediately caught my attention. Who doesn't love cookies? That love is increased at least 2X's when chips of chocolate and butterscotch are involved to create Seven Layer Magic Cookie Bars! Serving Size (1 bar, 1/30 of recipe), Calories 190 (Calories from Fat 100), Total Fat 11g (Saturated Fat 6g, Trans Fat 0g), Cholesterol 10mg, Sodium 75mg, Total Carbohydrate 21g (Dietary Fiber 1g, Sugars 14g), Protein 3g; Percent Daily Value*: Vitamin A 2%, Vitamin C 0%, Calcium 4%, Iron 2%.